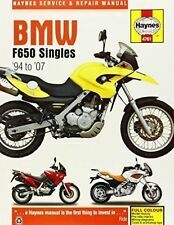 RARE BMW MOTORCYCLE F650CS SALES BROCHURE 2002 - LOOK! A 28 colour page brochure in good condition, with loads of information and pictures. Manual Haynes for 2002 BMW R 1150 R Rockstar Haynes Manual 3466 BMW R850 / R1100 TWINS 93-06. Manual Haynes for 2002 BMW R 1150 GS Haynes Manual 3466 BMW R850 / R1100 TWINS 93-06. 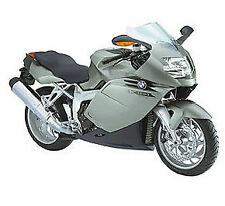 BMW R 850 R (ABS) (Europe) 1998-2002 Manuals - Haynes (Each). Manual Haynes for 2002 BMW R 1100 S ABS Haynes Manual 3466 BMW R850 / R1100 TWINS 93-06. Manual Haynes for 2002 BMW R 1150 RT Haynes Manual 3466 BMW R850 / R1100 TWINS 93-06. Manual Haynes for 2002 BMW R 1100 GS Haynes Manual 3466 BMW R850 / R1100 TWINS 93-06. Manual Haynes for 2002 BMW F 650 GS Haynes Manual 4761 BMW F650. Manual Haynes for 2002 BMW F 650 GS Dakar Haynes Manual 4761 BMW F650. Manual Haynes for 2002 BMW F 650 CS Haynes Manual 4761 BMW F650. Manual Haynes for 2002 BMW R 850 R ABS Haynes Manual 3466 BMW R850 / R1100 TWINS 93-06. Manual Haynes for 2002 BMW R 1150 GS Adventure Haynes Manual 3466 BMW R850 / R1100 TWINS 93-06. Manual Haynes for 2002 BMW R 1150 R Haynes Manual 3466 BMW R850 / R1100 TWINS 93-06. 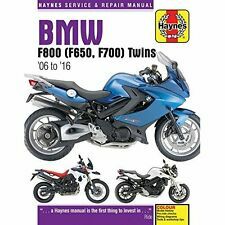 Manual Haynes for 2002 BMW R 850 R Haynes Manual 3466 BMW R850 / R1100 TWINS 93-06. 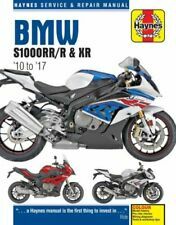 Haynes Manual 3466 BMW R850/R1100 TWINS 93-06 Haynes Manual 3466 BMW R850 / R1100 TWINS 93-06. F650 Funduro - - - 652cc - - - 1994 to 2000. F650GS Dakar - - - 652cc - - - 2001 to 2007. HAYNES REPAIR AND SERVICE MANUAL FOR. Haynes Manual 4761 BMW F650 Haynes Manual 4761 BMW F650. BMW F650 Funduro 1994-00. BMW F650 GS 2000-07. BMW F650 GS Dakar 2001-07. BMW F650 CS 2002-05. HAYNES Service and Repair Manual for:-. Bmw R1100 / Bmw R1150. 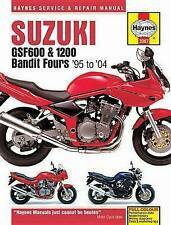 HAYNES REPAIR AND SERVICE MANUAL FOR R1100RS 1085cc 1993 - 2002. 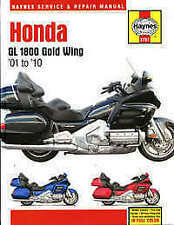 R1150GS Adventure 1130cc 2002 - 2006. R1150R 1130cc 2001 - 2006. HAYNES REPAIR AND SERVICE MANUAL FOR R850R 848cc 1995 - 2006. R850R Comfort 848cc 2004 - 2006.